Kelly Munn (right) with Issaquah Schools Foundation Past President Jody Mull. 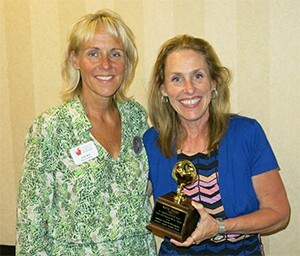 Kelly Munn, State Field Director at the League of Education Voters, was recently recognized by the Issaquah Schools Foundation with the 2015 Golden Apple Award. The Issaquah Schools Foundation began presenting its annual Golden Apple Award in 1998 to recognize individuals in the community who made a difference for children. Kelly began advocating the year her own children began school, through the PTA and then through Volunteers for Issaquah Schools, where she chaired multiple bond and levy campaigns and raised hundreds of millions of dollars for Issaquah Schools. 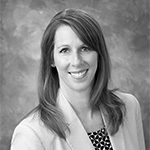 Kelly also served on the Issaquah Schools Foundation board for three years. The Issaquah Schools Foundation describes Kelly as “someone who has been vigilant, tireless, unrelenting, and a passionate spokesperson for what’s in the best interest of children at all levels,” and we agree. Congratulations, Kelly, and thank you for your work on behalf of all Washington students! 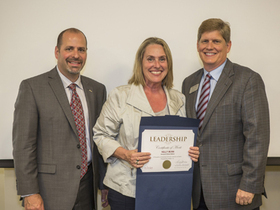 The Issaquah School District honored League of Education Voters State Field Director Kelly Munn with its Community Leadership Award at the Washington School Administrator’s Association’s regional awards ceremony held at the Puget Sound ESD on May 23, 2014. Kelly has been an active volunteer in the Issaquah School District and an advocate for public education for many years. Kelly’s leadership has been instrumental in helping the district maintain high quality programs and meet the demands of continued growth as co-chair of the Volunteers for Issaquah Schools Community Bond and Levy Committee. 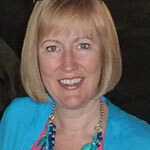 Over the years she has also been very active in PTSA and served on the board of the Issaquah Schools Foundation. Congratulations to Kelly for this tremendous honor! Once the 2014 budget was approved, the Issaquah district moved quickly to strategically invest the additional funding. To be clear; our district has yet to be restored to pre-2008-2009 state funding levels, but with the “additional” $3 million allocation from the state, we could begin that process. Instructional Performance and Accountability: $1,000,000 for full implementation, district-wide, of the Teacher Principal Evaluation Pilot (TPEP) Program. These additional funds are required to ensure the program is implemented with equity and transparency. These new evaluations are much more time-consuming and therefore the district opted to increase Dean of Students staffing at both the elementary and middle schools and add another Assistant Principal at two of our comprehensive high schools who have enrollments of 2,000 students each. This staff increase will also serve to assist students who need additional support to address their challenges. Instructional Time: $200,000 to fund a pilot 7th period at two high schools to expand core graduation and elective options for students. Due to state funding constraints, our district only provides a 6-period day. The district will pilot an on-demand academic option, as well as provide transportation. Student Health: While $975,000 overall was allocated, the district is contracting for Mental Health Counseling at all three of our comprehensive high schools, at a cost of $275,000. To me, this is a very smart investment. Data from our annual Healthy Youth Survey indicates numerous areas of significant concern. Our teachers are on the front line with our students and both need the guidance and support to navigate the complexities of social/emotional health. Just imagine the opportunities for our students should the state fully adhere to the court McCleary decision to restore the previous funding levels and make additional essential investments in education! Alison Meryweather is a passionate advocate for public education and has been volunteering for over a decade so that our students can benefit from the best education possible.